VECTOR Scientific, represented by Mastatek , after significant development and engineering, has released its VectorBeam portable tactical illuminating device providing controllable white light through various IR wavelengths. 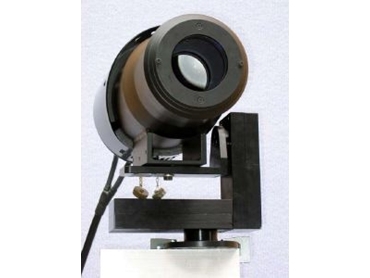 The VectorBeam's unique optical assembly provides a uniform beam structure from white through to 950nm enabling the use of night vision optics and other camera technology for high quality surveillance at night. Quality pictures can be seen without blooming and other aberrations. VectorBeam has a revolutionary remote controlled high efficiency filter assembly offering remote selection of white 380-780nm, Green 530nm (40nm bandwidth) blue 450nm (100nm bandwidth), and amber 480-500nm. A range of IR filters through to 950nm provide efficient illumination in the IR bands. VectorBeam is supplied with power supply technology for 240/110V ac and dc low voltage input. Control of the various VectorBeam facilities and filter wheel is via a handheld serial controller. A matching weatherproof pan and tilt head is available for remote control applications. A day/night surveillance camera with 18:1 zoom is capable of day/night and IR operation.